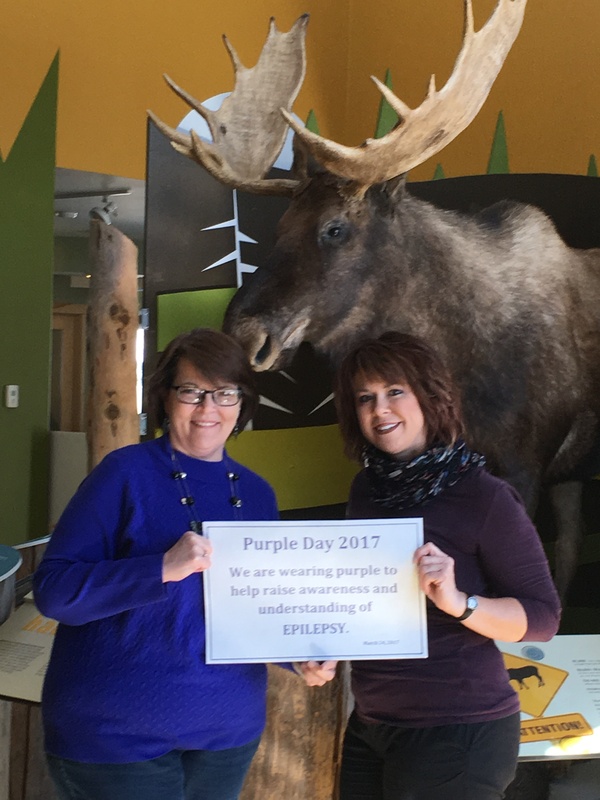 Epilepsy Day 2017. Mayor Sheila Fitzgerald signing the declaration. Mayor Fitzgerald and Deputy Mayor DeMoss wearing purple in support. The Town of Roddickton-Bide Arm will be hosting a cold plate supper on April 25, 2017 for volunteers in the community. We are requesting quotes from any interested parties for the supply of 100 cold plates, including plates and cutlery. Tea, Coffee, Dessert, Cups and Napkins are not to be included. Quotes detailing cold plate contents will be received up to Friday, March 31, 2017 at 4:30 pm. Due to reduced visibility, the Town Plow is taken off the road until conditions improve. In the case of an emergency please contract 774-0010 or 457-2968. Again Thank You to the operators. A petition is circulating the community to call on the reinstatement of the Northern Residence Deduction for the Great Northern Peninsula of NL. If you wish to sign the petition they are located at Irving, Western Petroleum, the Town Office, and Pharmachoice. Hopefully the petition will be at other locations within Town over the next few days.